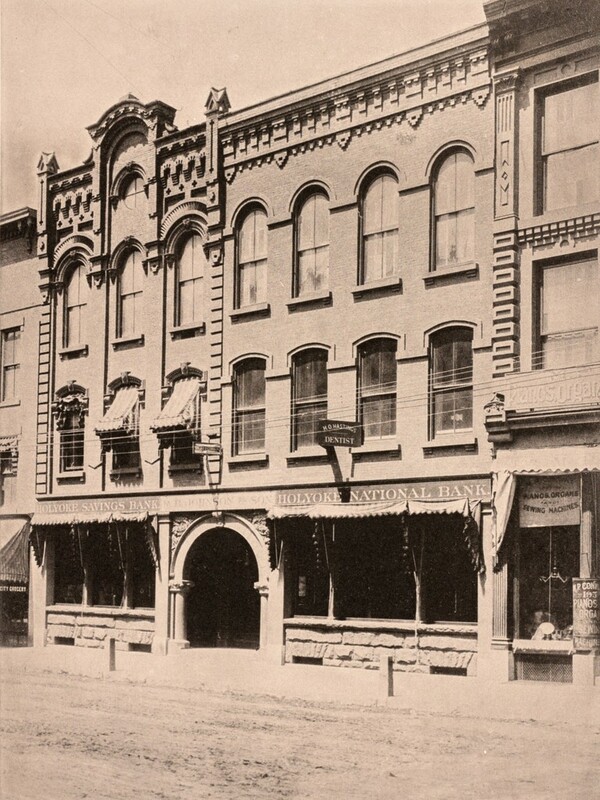 The buildings at 195-201 High Street in Holyoke, around 1891. Image from Holyoke Illustrated (1891). Aside from his insurance business, Johnson was also involved in both of these banks. He served as treasurer of the Holyoke Savings Bank from 1866 until his death in 1899, and he was also the first vice president of the Holyoke National Bank, upon its establishment in 1872. He later became the president of the bank in 1896, and served in that role for the last three years of his life. Following his death, his son Charles W. Johnson succeeded him as treasurer of the savings bank, and he also carried on the insurance business here in the building on the left side. The Holyoke National Bank was located here until the early 1910s, when it moved to a new location at the end of the block, at the corner of Dwight Street. Then, in 1915 the savings bank purchased both buildings, allowing it to double its available space by expanding into the side that had been vacated by the national bank. 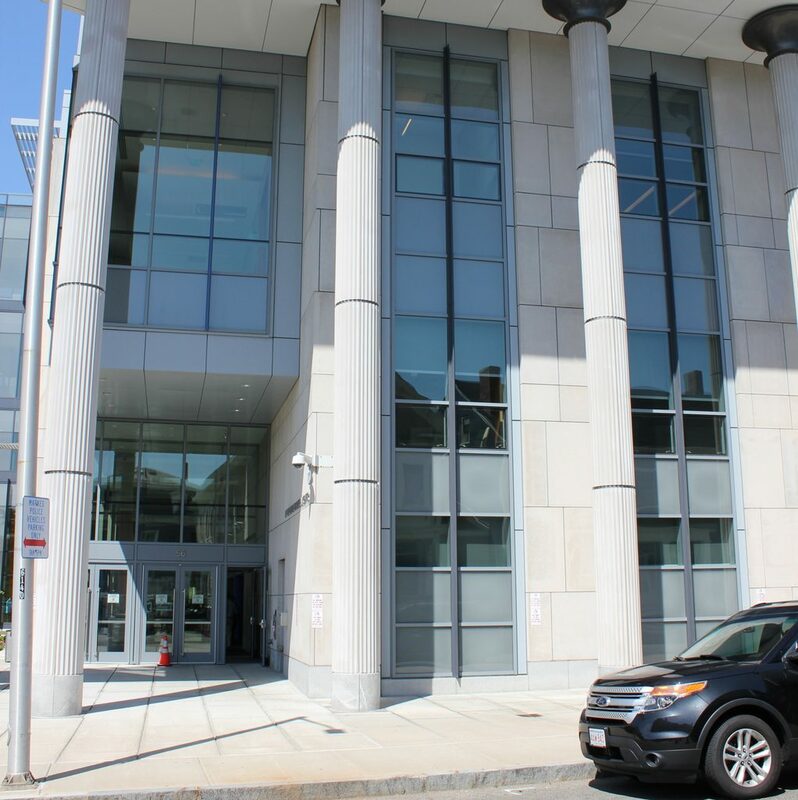 However, the savings bank was only here for another decade or so, before moving into a new building that still stands a few blocks away at 143 Chestnut Street, at the corner of Suffolk Street. Later renamed Vanguard Savings Bank, it would remain at the Chestnut Street location until 1992, when it was absorbed by Fleet Bank. In the meantime, the bank’s former location on High Street is still standing, although both of these buildings have seen some changes over the years. The ground floor has been significantly altered, with three different doors instead of the central arch, and the building on the left side has lost much of the ornamentation above the third floor. However, both buildings are still easily recognizable from the first photo, and they are among the many historic late 19th century commercial blocks that still stand here on this part High Street. 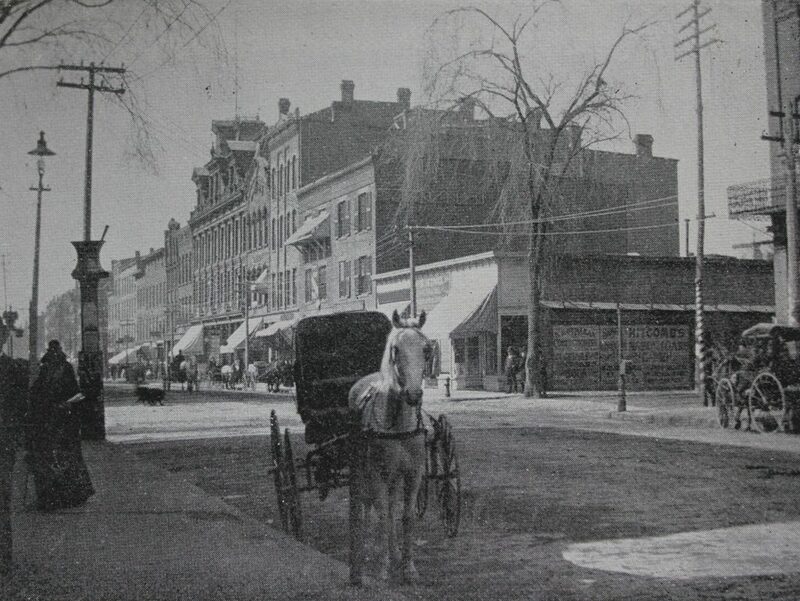 Looking south on High Street from the corner of Hampden Street in Holyoke, around 1892. Image from Picturesque Hampden (1892). 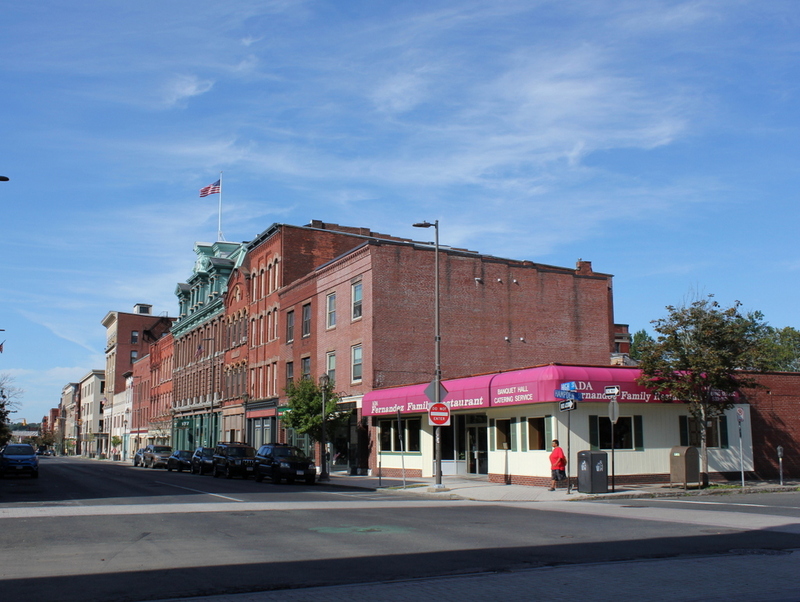 Much of High Street in Holyoke has been remarkably well-preserved over the years, particularly this block on the west side of the street, between Hampden and Dwight Streets. 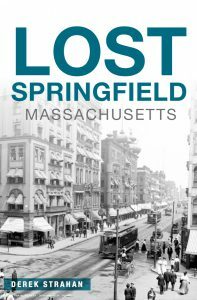 It consists primarily of brick, three and four-story commercial blocks that were built in the second half of the 19th century, during the early years of Holyoke’s development as a major industrial center. The scene had largely taken on its present-day appearance by the time the first photo was taken in the early 1890s, and today the only significant difference is a noticeable lack of horse-drawn carriages. According to district’s National Register of Historic Places listing, the one-story building in the foreground was built in the mid-20th century, but it seems possible that it might actually be the same one from the first photo, just with some major alterations. Either way, this is the only noticeable change in the buildings on this block. Just beyond this building are two matching three-story buildings, located at 169-175 High Street. These are perhaps the oldest buildings in the scene, dating back to around 1855, and have a fairly plain exterior design, unlike the more ornate building further down the street. 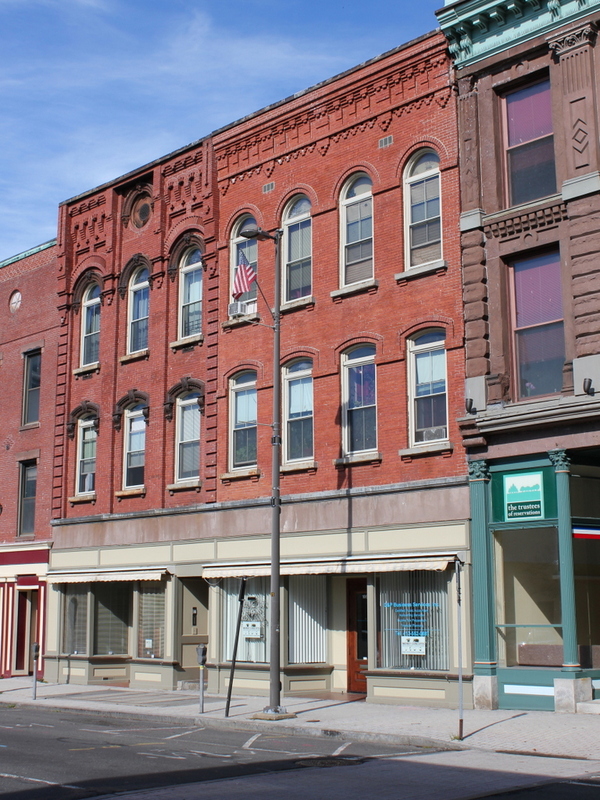 To the left of these two buildings is the four-story Dougherty’s Block, at 177-179 High Street. This was built sometime around the late 1880s, and was probably the newest building in the first photo. Beyond it is the 1870 Taber Building, with its distinctive ornate pediment above the third floor. However, the most architecturally-significant building in this scene is the Second Empire-style Caledonia Building at 185-193 High Street. 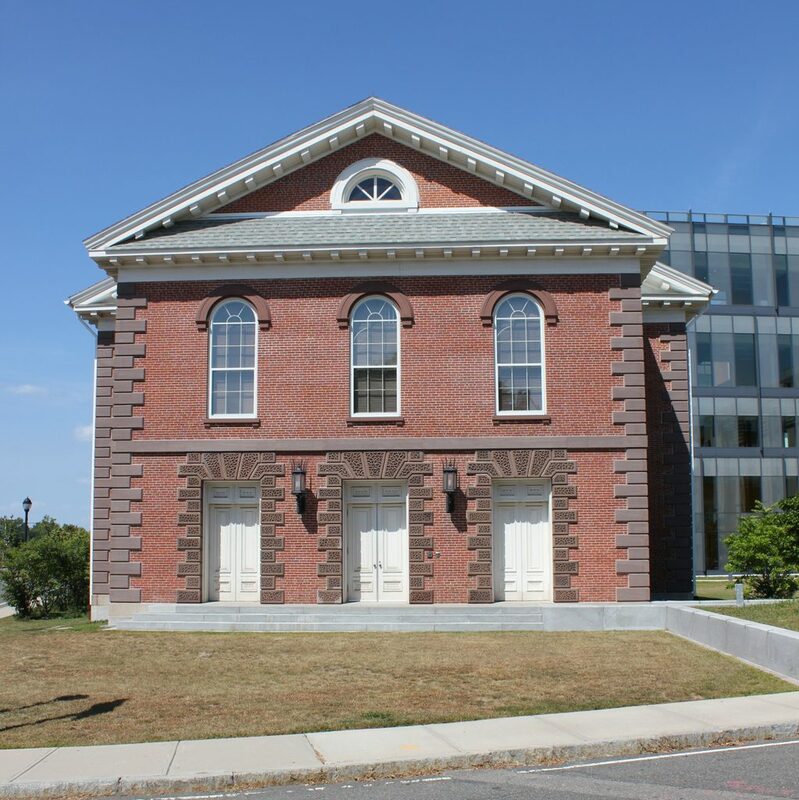 It was built in 1874, and was originally owned by Roswell P. Crafts, a businessman who went on to become mayor of Holyoke in 1877 and from 1882 to 1883. The building was later owned by the Caledonian Benefit Society, which provided aid for Scottish immigrants. Beyond the Caledonia Building, most of the other buildings also date to between 1850 and 1880. These include, just to the left of the Caledonia Building, the Johnson Building at 195 High Street and the R.B. Johnson Block at 197-201 High Street, both of which date back to around the 1870s. Further in the distance is the 1850 Colby-Carter Block at 203-209 High Street, and the c.1870 Ball Building at 211-215 High Street. The only noticeable change in this section is the six-story Ball Block, at the corner of Dwight Street. It was completed in 1898, a few years after the first photo was taken, and is visible on the far left side of the 2017 photo. 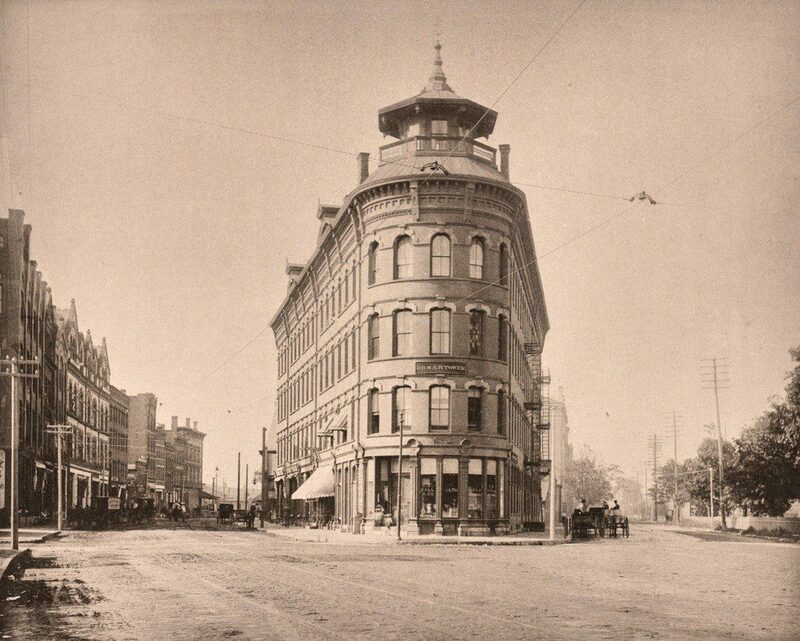 More than 125 years after the first photo was taken, this section of High Street survives as a good example of Victorian-era commercial buildings, representing a range of architectural styles from the plain brick buildings of the 1850s, to the more ornate styles of the 1870s and 1880s. 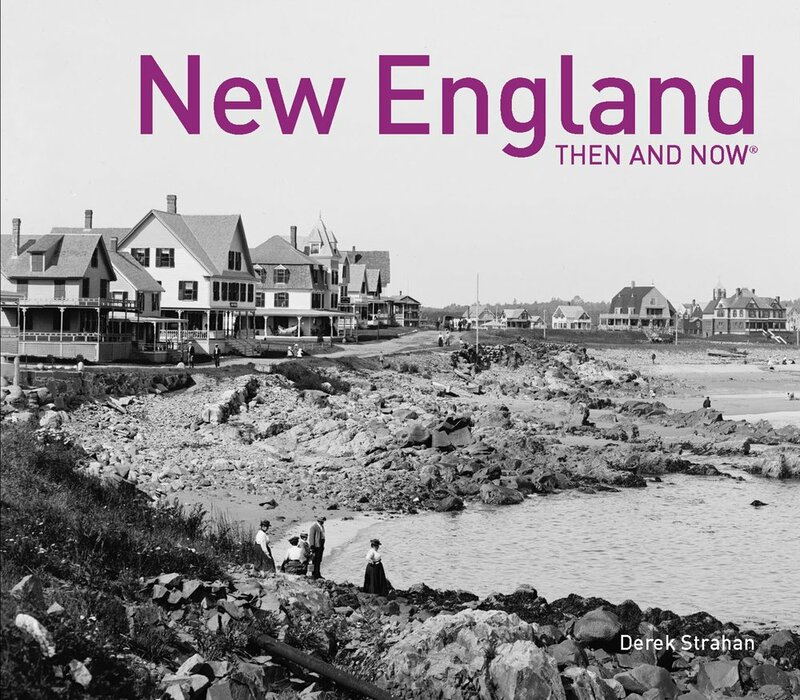 Holyoke is no longer the thriving industrial city from the first photo, having experienced many years of economic stagnation since the mid-20th century. However, this has probably contributed to the survival of so many 19th century buildings, since there has been little demand for new construction, and today these historic buildings and streetscapes are among the city’s greatest assets. 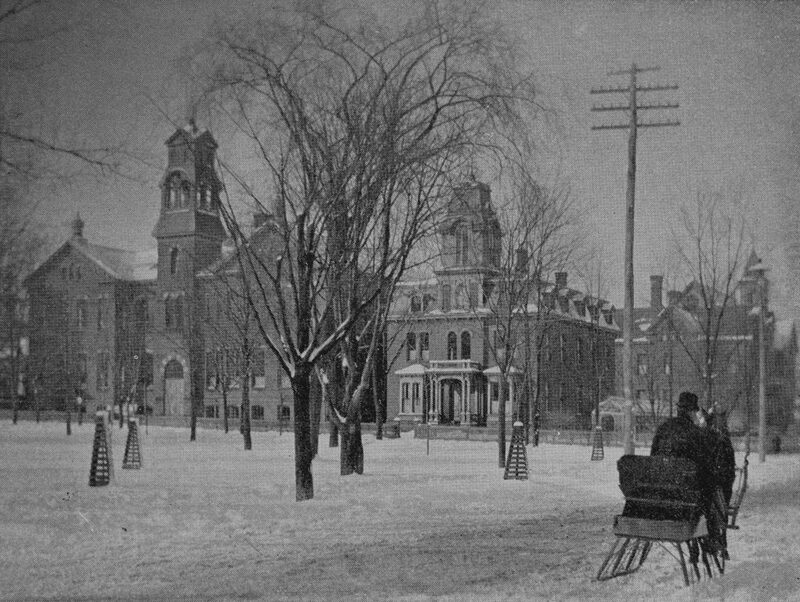 The former School of the Immaculate Conception of Notre Dame, on Chestnut Street opposite Hampden Park in Holyoke, around 1892. Image from Picturesque Hampden (1892). 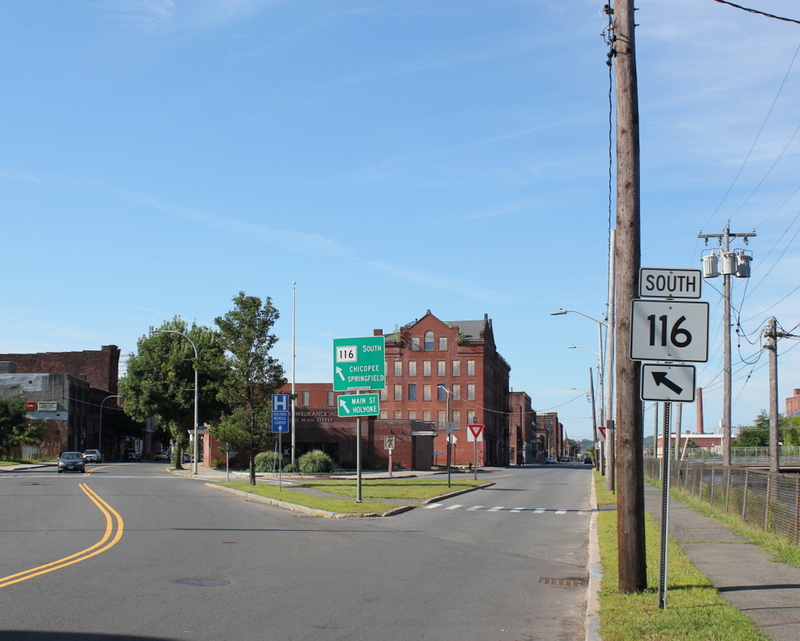 Holyoke grew into a major industrial center during the second half of the 19th century, and the jobs in the mills attracted large numbers of immigrants, particularly the Irish and French Canadians. Most of these immigrants were Catholic, in a region that had previously been almost entirely Protestant, and they soon set about establishing Catholic churches and other religious institutions. The first of these churches was St. Jerome’s, which was established in 1856. 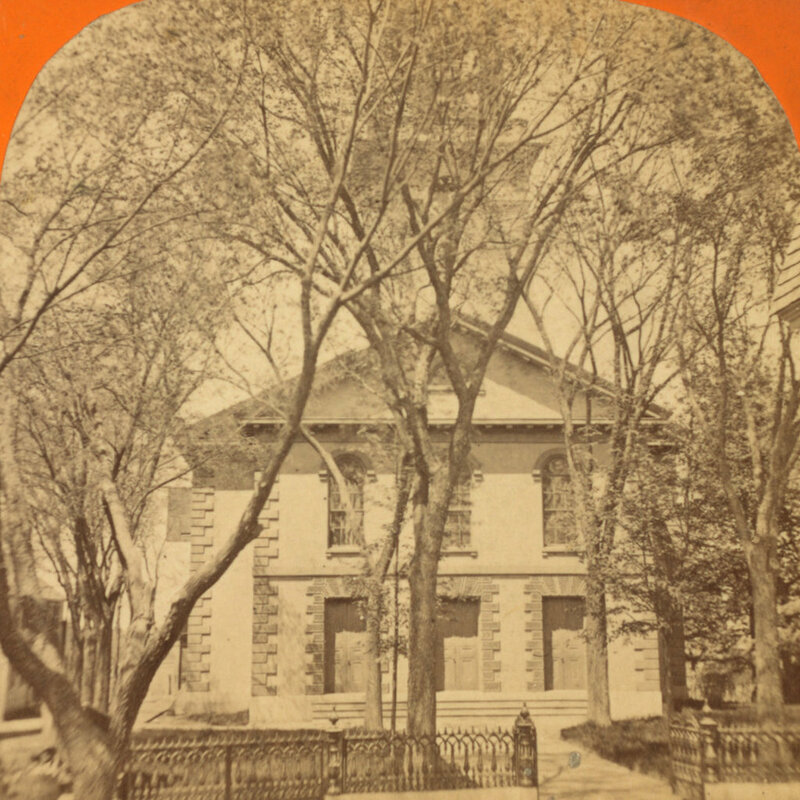 Two years later, the parish constructed a church building that still stands at the corner of Hampden and Chestnut Streets, just out of view to the right of this scene. 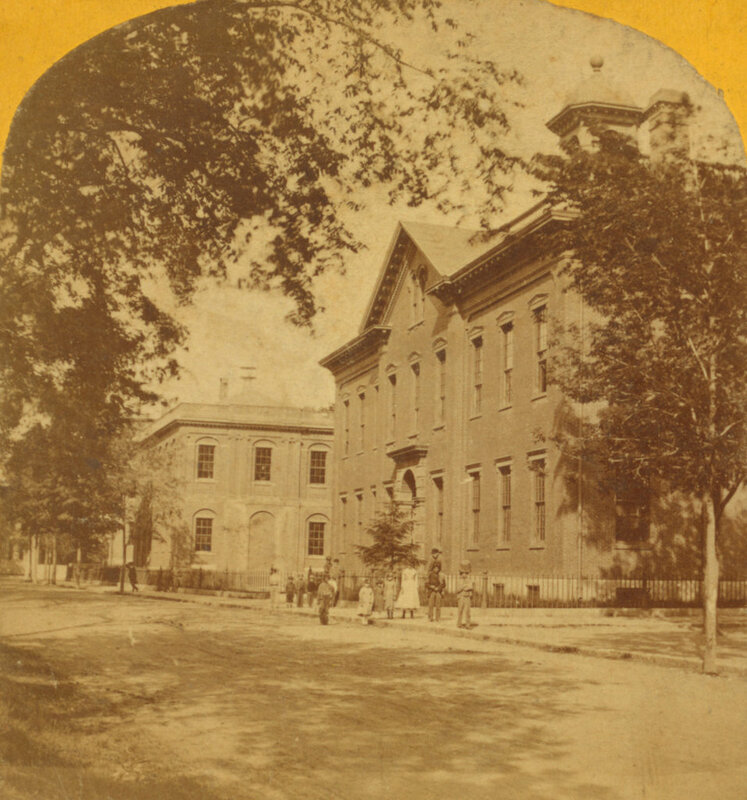 In 1869, St. Jerome’s Parish opened its first parochial school, the School of the Immaculate Conception of Notre Dame. It was originally an all-girls school, and was located in a wood-frame building that was moved to this site. That same year, the Convent of Notre Dame was completed just to the right of the school. It housed the nuns who taught at the school, and can be seen in the center-right of both photos, with its central tower and Second-Empire style architecture. Then, in 1872, the St. Jerome’s Institute was established as a school for boys, and was located on the other side of Hampden Street, at the corner of Elm Street. The original Immaculate Conception building was replaced in 1883 by a much more substantial brick school building, which stands on the left side of both photos. It was designed by architect Donat R. Baribault, with an Italianate-style design that included a symmetrical front facade and a tower above the main entrance. By 1890, around the time that the first photo was taken, it had an enrollment of about 550 girls, and the principal of the school was also the sister superior at the adjacent Convent of Notre Dame. The Immaculate Conception School later became the St. Jerome High School, and in 1963 it merged with several other parish high schools in the city to form Holyoke Catholic High School. The old 1883 school building became part of the Holyoke Catholic campus, and remained in use until 2002, when the school relocated to Granby. 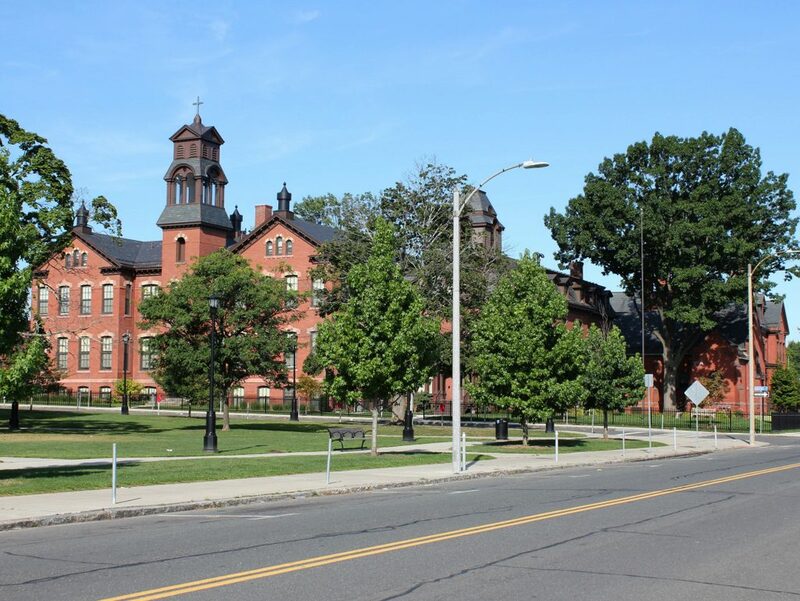 Holyoke Catholic has since merged with Cathedral High School in Springfield, and the consolidated school has been known as Pope Francis High School since 2016. 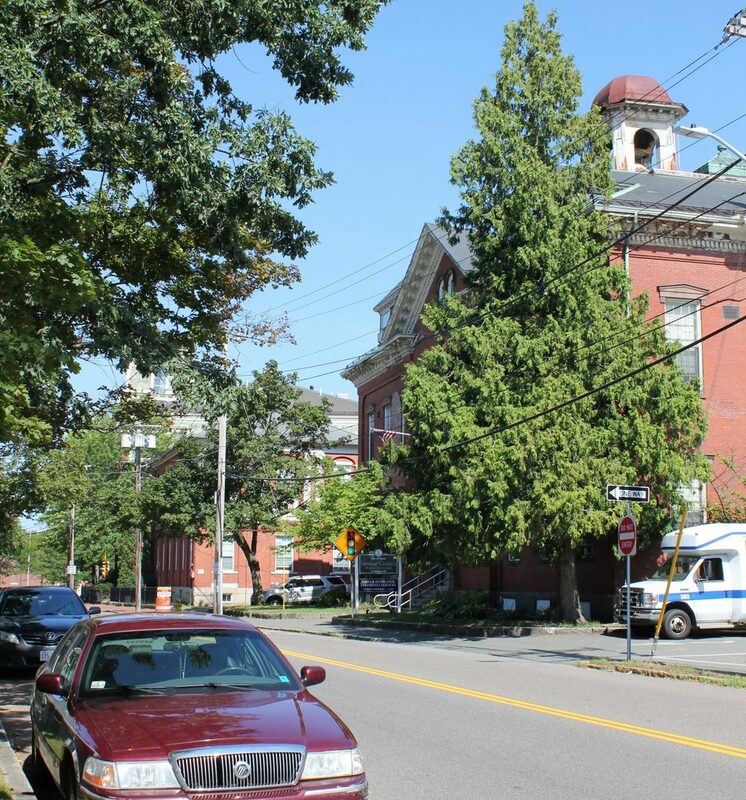 Today, most of the historic 19th buildings from the St. Jerome’s Parish are still standing, including the former Holyoke Catholic buildings. Although they were boarded up for more than a decade after the school moved to Granby, the buildings have since been converted into the Chestnut Park Apartments. This work was completed in 2015, and now there is hardly any difference between these two photos, which were taken 125 years apart. The buildings are now part of the Hampden Park Historic District, which was added to the National Register of Historic Places in 2012.